Over 100 people have lost their lives and over 200 people are still unaccounted for after a volcano erupted in Guatemala on Sunday, June 3rd. 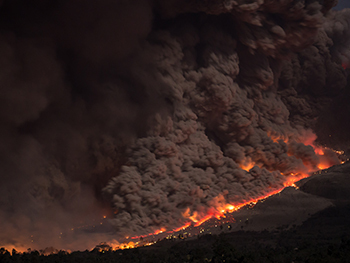 The eruption unleashed a deadly mix of ash, rock and volcanic gases more than six miles into the sky. Rescue workers have been searching frantically for survivors and victims buried in the lava-ravaged landscape. The Fuego volcano eruption was Guatemala’s biggest and most violent volcanic eruption the country has seen for more than 40 years and the Guatemalan government has declared a state of public calamity. Early reports indicate that a full recovery from the disaster could take more than a year to complete.